A110-1 CLSD NON ENG ACFT. 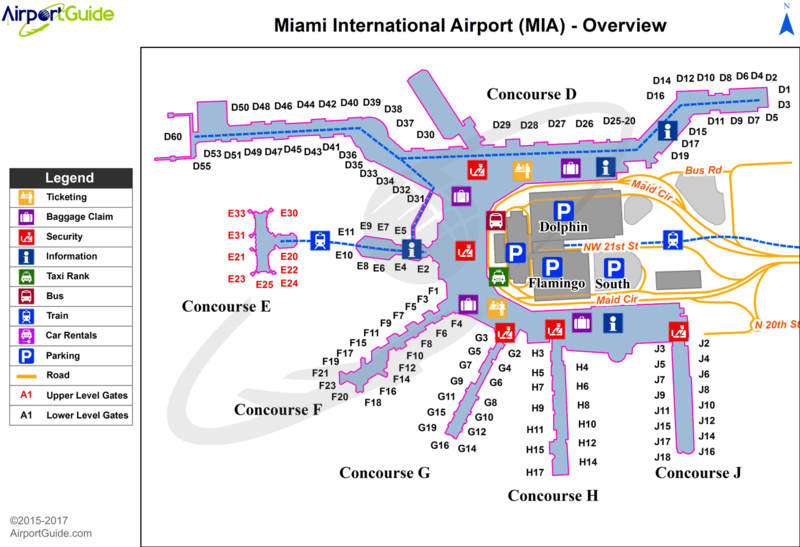 A110-18 PPR 3 HRS PRIOR TO ALL ARRIVALS ON THE GENERAL AVIATION CENTER (GAC) RAMP 305-876-7550 CTC RAMP CONTROL UPON ARRIVAL ON FREQUENCY 131.600. ACFT WITH WINGSPAN GREATER THAN 78 FT ARE PROHIBITED FROM ENTERING THE GAC RAMP. A110-19 ALL MEDICAL EMERGENCIES ARRIVALS, WITH THE EXCEPTION OF AIR AMBULANCE FLIGHTS, MUST SECURE DOORS UNTIL ARFF IS ON SCENE. A110-20 ASDE-X IN USE. OPERATE TRANSPONDERS WITH ALTITUDE REPORTING MODE AND ADS-B (IF EQUIPPED) ENABLED ON ALL AIRPORT SURFACES. A110-21 PPR FOR INBOUND MILITARY FLIGHTS 100 NM ON FREQ 130.5. A110-22 ALL DIVERSION CTC FREQ 130.5 UPON ARR. 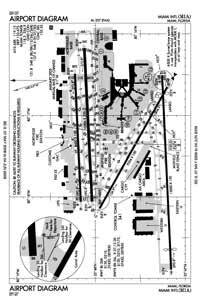 A110-23 B757, HEAVY AND SUPER ACFT ARE NOT AUTH INT DEP FOR ANY RWY UNLESS A PTN IS CLSD OR UNUNSL. A110-3 ACFT WITH A WINGSPAN GTR THAN 171 FT ARE PROHIBITED FM TXG ON TWY P EAST OF TWY U.
A110-4 ALL TURBOJET ACFT USE DSNT NOISE ABATEMENT DEP PROFILE FROM ALL RYS EXC A320, B727, B737-800, B767-400, AND DC9 WHICH SHOULD USE CLOSE-IN NOISE ABATEMENT ABATEMENT PROFILE. A110-5 BIRDS ON & INVOF ARPT. A14 JIM MURPHY, AIRPORT SUPERVISOR 305-876-7516. A30-08L/26R RY 08L/26R CLSD 0200-1100++ WHEN RYS 08R/26L & 09/27 ARE IN USE. A30-12/30 RY 12/30 CLSD 0200-1100++ WHEN RYS 08R/26L & 09/27 ARE IN USE. A57-09 APCH RATIO 50:1 TO DSPLCD THR. A57-30 APCH RATIO 48:1 TO DSPLCD THR. A58-30 +20' RR 200' FM RY END; 450'L.